Resolver is named as one of Canada’s fastest growing tech companies in the 19th annual Deloitte Technology Fast 50™ award and on Deloitte’s Technology Fast 500™, a ranking of the 500 fastest growing technology, media, telecommunications, life sciences and energy tech companies in North America. 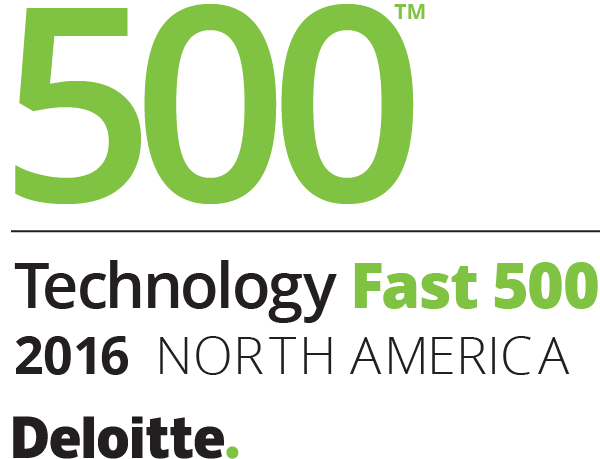 About the Deloitte Technology Fast 50™ - The Deloitte Technology Fast 50 program is Canada’s pre-eminent technology awards program. Celebrating business growth, innovation and entrepreneurship, the program features three distinct categories including the Technology Fast 50 Ranking, Companies-to-Watch Awards (early-stage Canadian tech companies in business less than four years, with the potential to be a future Deloitte Technology Fast 50 candidate) and the Leadership Awards (companies that demonstrate technological leadership and innovation within the industry). Program sponsors include Deloitte, Aequitas NEO Exchange, Bank of Montreal, Bennett Jones, OMERS Ventures and Vistara Capital Partners. For further information, visit www.fast50.ca. Technology Fast 500™ provides a ranking of the fastest growing technology, media, telecommunications, life sciences and energy tech companies–both public and private–in North America. Technology Fast 500 award winners are selected based on percentage fiscal year revenue growth from 2012 to 2015. In order to be eligible for Technology Fast 500 recognition, companies must own proprietary intellectual property or technology that is sold to customers in products that contribute to a majority of the company's operating revenues. Companies must have base-year operating revenues of at least $50,000 or USD, and current-year operating revenues of at least $5 million or USD. Additionally, companies must be in business for a minimum of four years, and be headquartered within North America. Resolver Protects What Matters™. Over 1,000 of the world’s largest organizations use our cloud software to protect their employees, customers, supply chain, brand and shareholders. Resolver’s Integrated Risk Management platform helps plan and prepare your organization to limit the likeliness or impact of events from occurring; this includes Risk Assessment, Enterprise Risk Management, Internal Control, Internal Audit and Compliance. We also support the response and recovery process when an event does occur; including Incident Reporting, Incident Response and Investigations. Resolver’s team is comprised of security, risk and compliance experts supporting customers across 100 countries with offices in North America, United Kingdom and the Middle East.